If you are looking for information on the Hair Cuttery franchise business opportunity, Hair Cuttery franchises or Hair Cuttery franchising, then you have come to the right place. 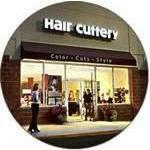 Established in 1974 Virginia, the Hair Cuttery today is one of the largest value salon chains in the country with nearly 1000 units across the US and the UK. We provide more than 16 million services each year to our clients and were the ones to introduce the "no appointment necessary" concept to the affordable unisex family salon segment. In addition to haircuts, a client can find a full array of hair and beauty services, from coloring and styling to straightening, permanent waves, conditioning treatments and waxing, as well as a wide selection of professional hair care products. While the reasons for our success are many, the key is our unusually strong relationship with our Stylist community. It's what differentiates us from the other value salon chains. We have one of the highest Associate retention levels in the hair care industry among our nearly 10,000 Stylists, which translates into loyal customers. High Stylist retention rates also mean Hair Cuttery spends more time on advanced training and building long-term relationships.